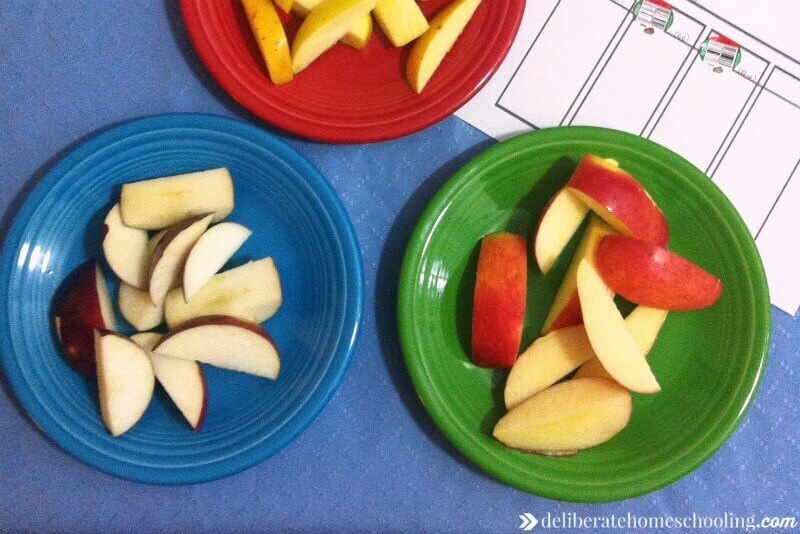 Set up a table with a bowl of various apples for your child to explore. Hang up an “A is for Apple” sign. Display several books about apples (listed below). Set up magnetic letters for your child to play with. Make sure there multiples of the letter “A” to explore! Provide your child with an empty booklet for him to document his apple discoveries. He can draw pictures of what he likes and “record” discoveries in it as well. Practice writing the letter “A”. Provide a tray of sand and an “A” flashcard. Also, make sure there’s plenty of paper and pencils so that he can practice writing the letter “A” whenever he wishes. 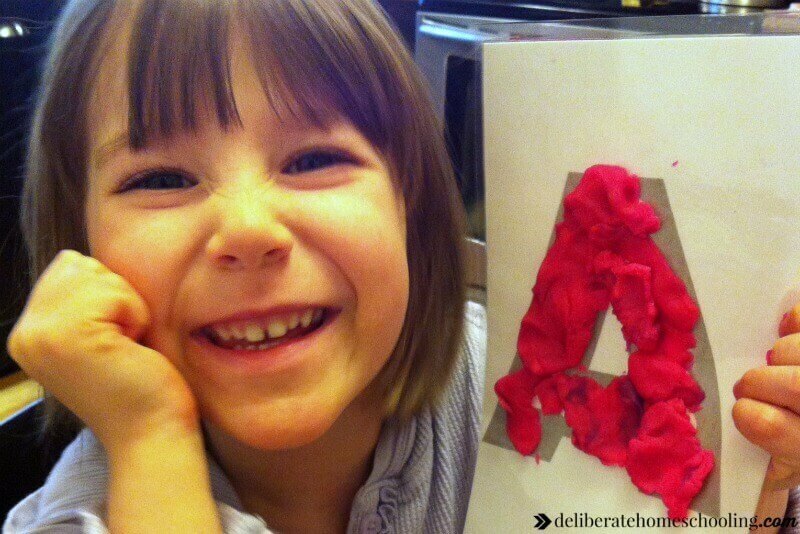 Provide a letter “A” laminated playdough mat. Allow your child to use playdough to form the letter “A” on the mat. Provide whiteboard markers and allow your child to trace the letter “A” on the laminated playdough mat. Sing along to Apples and Bananas by Raffi of course! Learn about the various types of apples by singing the I Love Apples song. Read a book like From Seed to Apple and discuss the various scientific components of apples. Name the different parts of the apple (the core, the seeds/pips, the flesh, the skin, the stem, etc.). Plant apples seeds in a small container. Simple planting and growing instructions can be found on the Wikihow site, HERE. Count apples. Line some apples on the table and count them. Count the seeds inside the apples. Cut an apple in front of your children. Demonstrate 1/2 an apple, a 1/4 of an apple, a 1/8 of an apple and a whole. Have an apple taste test. Select several different types of apples and taste each one. Document everyone’s favourite apple using a chart (one is provided in the ‘A is for Apples’ printable package). Use a kitchen scale to weigh apples. Weigh one apple. Weigh half the apple. Weigh a 1/4 of the apple. Play a memory/matching game with the apple cards provided in the download package below. There are so many great apple recipes available on the internet. Get your children involved in making some of them! 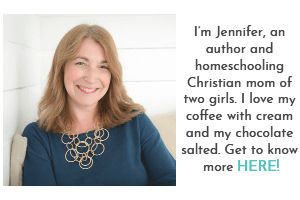 If you’re not sure how to start cooking with your children, then check out this post HERE for some helpful tips and suggestions. Applesauce – This applesauce is easy to make and yummy! Apple cider – The BEST apple cider recipe. Apple butter – I never understood the idea behind apple butter, until I had it! 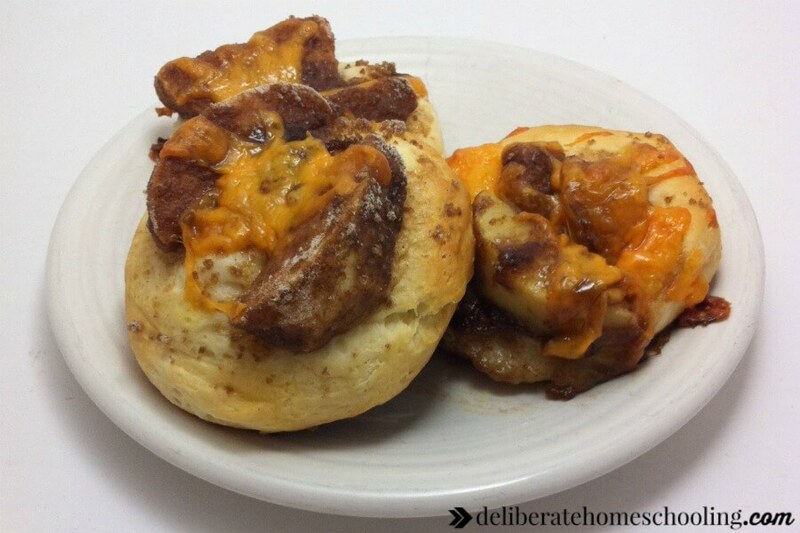 Apple pizza – Apples, brown sugar, cinnamon and cheese… this recipe is perfection! Apple crisp – We’ve made this apple crisp several times! Delicious! Apple pie – Homemade apple pie… there’s nothing like it! Maybe you could make a different recipe every day and document the process in an apple cookbook that your children help assemble. Head to an apple orchard and pick some apples. Try to arrange for the owner of the orchard to do a brief presentation for your children. Go to the grocery store and purchase a variety of apples. Have your child select the apples, bag the apples, and pay for the apples. Point out the apple signs in the store. Laminate a photo of an apple and hole punch all the way around it. Provide a shoelace (aka – a worm) and encourage your child to get the worm to eat the apple (sew/lace the apple). Hide apple pictures in the living room and have your child find them. Your downloadable apples learning package. 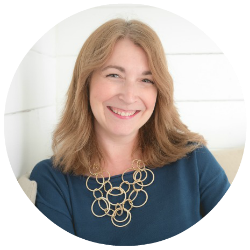 Simply click on the download button below and this package of learning resources is yours! 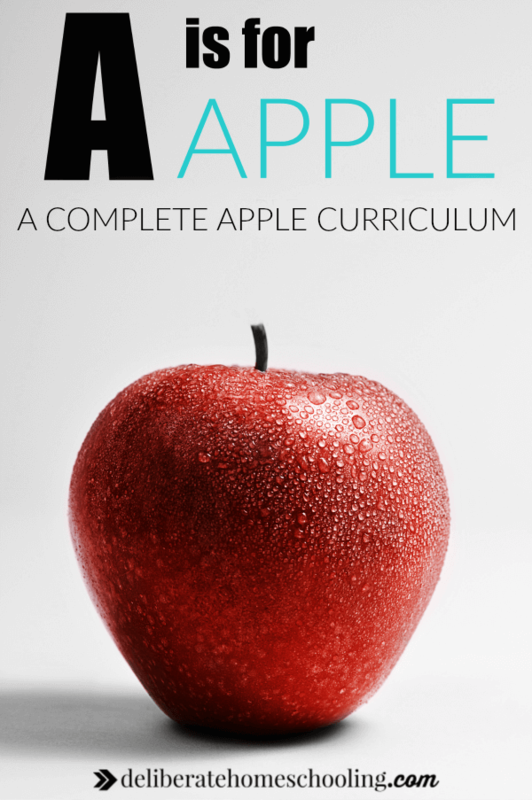 This download set has a variety of resources to carry out an apple unit study! 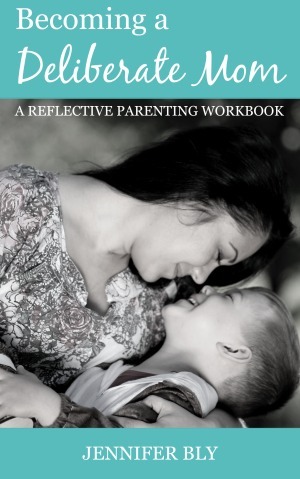 Download this resource today! Do you use themes/unit studies to teach? 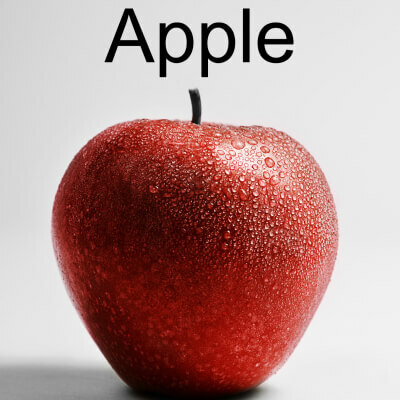 Do you have any ‘A’ and apple-related teaching ideas? 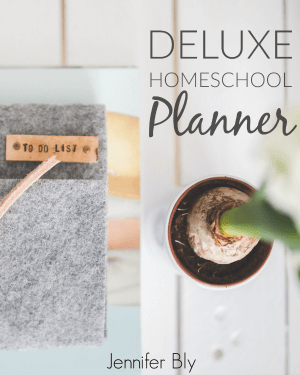 I love planning this way because then I pick and choose a couple activities to do every day. If my kids remain interested, we can stay submerged in a topic for 2-3 weeks! I’m delighted you enjoyed this Emily. I hope it helps as you do letter work with your daughter. Isn’t that song the best?! It’s a classic. I’m delighted you enjoyed these ideas Beth!